Why Just Rent a Room When You Can Have a Ranch? Grandfather clear the meadows and dig the ditches. Surrounded by hundreds of acres of undeveloped forest and meadows, the quiet, comfort, and privacy are unparalleled. 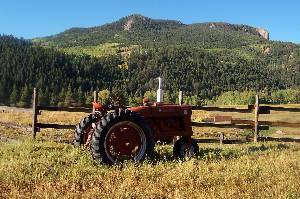 The ranch sits at 8800 ft. and has been in our family for over 125 yrs. The original barn and cabin built in the 1880s still stand. The vacation home was built in '70, improved in '86, '93, '02 and '05. Available year round as whole house or as seperate levels (depending upon season). NOTE- THERE IS ONLY ONE PARTY ON THE PROPERTY AT A TIME TO ENSURE PRIVACY. The home is spacous enough for a large family and affordable enough for the romantic couples get away. The driveway is a mile long dirt road off of highway 149(4 wheel drive needed in snow/mud months). There is a new well and boiler system to ensure enough hot water for all guest to shower back to back. 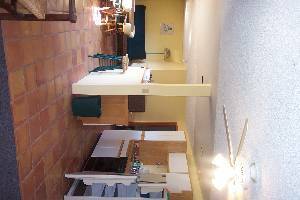 Everything you need to enjoy cooking and relaxing, with two full kitchens and bathrooms. Besides the unique location and history, features include: friendly horses on the property (sorry not avalable for riding); access to national forest trails and road; nearby river fishing; decks; new beds; new TV; new washer and dryer; antique piano and a very large family dining table upstairs. You must expierience the history and surroundings to truely understand the magic. Feel free to ask for references for we have seveal return families. 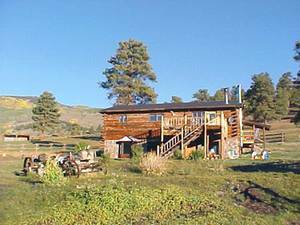 Visit Elk Creek Ranch today- available year round- and enjoy the vacation of your dreams! New Matag washer and dryer, new TV, microwaves and coffee makers on both levels, toaster oven, crock pot, pancake griddle, very large dining table, unlimited hot water, antique piano, horses on propery, antique farm equipment, and horse pasture for additional fee. 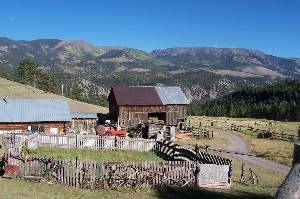 historic 4 wheel drive roads, largest consentration of 14,000 foot peaks in colorado, hiking, biking, river rafting, fishing, boating, breathtaking views, peace and quiet for the ultimate relaxing vacation! The window in the background is next to the door that access the front deck. The window in the background is the window above the kitchen sink. 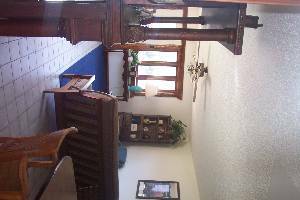 Downstairs has 2 large bedrooms, a full kitchen, full bath, antique piano and a comfy funton for a couch or sleeping option. Antique tractor next to the irrigation ditch. While standing on the deck of the house you look at the 100 year old barn, built entirely with wooden pegs by my Great-Grandfather, John Nathan Thompson. 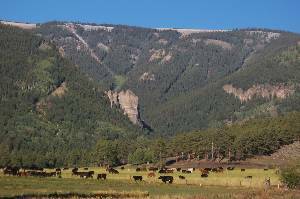 Where the meadow ends, national forest begins - thousands of acres of undeveloped land. Several forest service trails meander through this forest. All the rooms have new beds, comfy blankest and lots of pillows. Downstairs is better for sleeping in, due to the great room with the only TV in the house being upstairs. We stayed on the property in July of 2005 and it was a blast. We saw Elk crossing the hay field every evening and have the video to prove it. There many areas to fish for trout and hiking. We also brought ATV's with us to ride on the bordering BLM land. Even though we could not ride on the owners property other than the road to the property my kids even had easy access to the BLM land. We spent about 8 hours three days riding ATV's all over the roads around the mountains. If you do bring ATV's bring warm and water proof clothing because it snowed on us one day while riding. There was also a resident cat that kept the kids busy too. I can't say enough about this property and you are welcome to e-mail me for any questions are tips on the stay. Available as whole house or as seperate levels(OFF SEASON ONLY). ONLY ONE PARTY WILL OCCUPY THE HOME AT A TIME TO ENSURE PRIVACY!!! 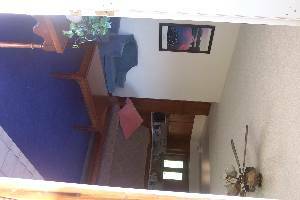 Upstairs has a woodstove, full kitchen, full bath, 3 rooms (2 queen, 1 double bunk with twin on top)NEW T.V.-DVD/CD player, large family dining table, futon couch/bed, and decks. Downstairs doesn not have a TV, but it does have a wood stove, a small portable CD/cassette stero, full kitchen, full bath with an antique bathtub and shower, washer and dryer, bay window for sitting, futon couch/bed, table that seets 4, two larger rooms (1 king, 1 queen) and an antique piano . Upstairs only rates (availble from late August-fall- early June-spring): $185 per night for under 3 nights- 3 or more nights $175 per night. Downstaris only rates (availabe from late August - mid June ): $175 per night under 3 nights - 3 or more nights $165 per night. Whole house rate- $300 per night from the last week in June- the first week in August. $250 per night for the fall/winter/spring rate. 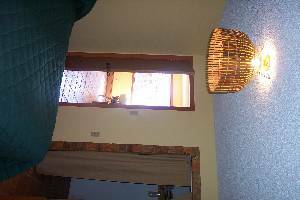 $275 per night summer daily price (excluding times listed above). $250 Cleaning/dammage deposit- required for any stay. Returned when home is left clean and undamaged. Otherwise, a $25 per hour fee will be deducted from your deposit to pay for cleaning. There is a $20 per pet-per visit fee and $50 per horse fee (this pirce includes a corral with water but you must supply your ouwn feed). Feel free to email or call with questions or ask for references, we have many return families. Cancellations and Refunds: Half of entire ballance due upon reservation. Refundable only if cancelled w/in 30 days of stay. Entire payment due upon or before arrival. Other Fees: $250 clean and damage deposit $20 charge-per pet- per visit c $50 per horse- per visit up to 2 weeks- this price is with you supplying your own feed. Corral with water supplied.